Why Does My Company Need Parking Lot Security Cameras? Parking lots and parking garages are appealing for criminals because they provide a source for a wide variety of criminal activity. Car thieves see hundreds or even thousands of opportunities for potential hits in parking lots and parking garages. Other thieves also see parking lots as a gold mine — countless stereo systems, speakers, GPS systems, laptops, cell phones and other personal property are available for taking. Customers are not the only ones at risk. Your company’s shopping carts, outdoor landscaping and even plants and shubbery are also at risk of being stolen in a parking lot with no security cameras. Not only is a parking lot a potential feeding ground for thieves, but an unsafe parking lot can also be a dangerous place for your customers and employees. People with bad intentions have a lot of opportunities to hide and prey on unsuspecting victims in parkings lots; countless muggings, kidnappings, murders and rapes have occurred in unsafe parking lots and parking garages. A perhaps less dangerous, but still pesky and expensive problem that often plagues parking lots and parking garages is vandalism. Teenagers and other mischief seekers may find an un-secure parking lot as a great opportunity to vandalize both vehicles and your company’s property. Although crime can and does happen anywhere, parking lots are particularly attractive to criminals because of their size and the volume of people and vehicles there. These crimes can be greatly reduced with proper security measures. Parking lot security cameras and surveillance cameras, as well as many other security precautions have proven to help prevent criminal activity in parkings lots and parking garages. Just the sight of security cameras and posted surveillance signs are often enough to stop a tempted criminal dead in his tracks. In the event that a crime does occur, proper parking lot security cameras can aid in the arrest and conviction of the criminal and can serve as a lesson for others who are contemplating committing crimes in your parking lot. They say that a picture is worth a thousand words, but a full-color video is worth even more than that in police stations and court rooms. In addition to preventing crime and convicting criminals, parking lot security cameras also add a sense of safety and security that will make your employees and customers feel more at ease. Customers who see ample surveillance cameras and other security equipment in a parking lot immediately feel safer, and feel that their vehicle and belongings are safer. A safe parking lot can make your business more attractive than other area businesses that do not have proper parking lot security cameras and other security devices, therefore increasing business and giving your company a better image. What Security Measures Should I Take In My Parking Lot? When installing parking lot security cameras and surveillance cameras, there are a few things to keep in mind. Each company’s parking lot or parking garage is different and has different security needs; although all parking lots should have a certain level of security, some parking lots and parking garages require tighter security than others. A small parking lot in a safe area may only require a few security cameras and a couple of posted signs. Larger parking lots and parking garages require an extensive system of parking lot security cameras, along with other security measures, to ensure maximum safety and security. Proper lighting is a must for all parking lots and parking garages. Customers who can see clearly as they walk to or from their vehicle, even in the dead of night, will feel much safer and more secure. Bright lighting makes it much more difficult for potential criminals and mischief seekers to do their deeds without being seen. Ample lighting also helps to deter thieves and vandals. A darkly dressed criminal may feel he can beat the security cameras without being recognized in a dark area, but he will often be far too intimidated and afraid of being seen if there is bright lighting in the parking lot. In dangerous neighborhoods or high crime areas, having gates around your parking lot and having security guards might be a good precaution to take. 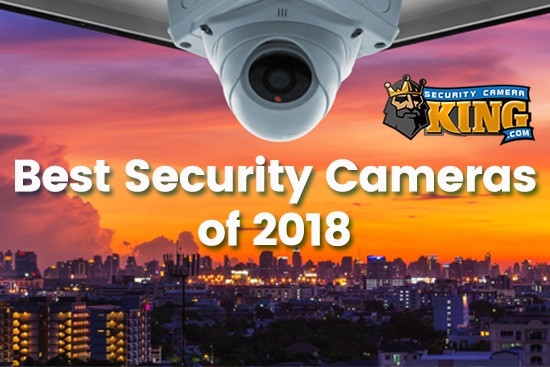 Although this is often un-neccessary with proper parking lot security cameras and lighting in a safe neighborhood, if your area is subject to a high crime rate or if your security cameras aren’t doing a sufficient job preventing crime, hiring a few security guards may be a good idea. In most cases, however, hiring security guards can be an expensive and unnecessary precaution if you have adequate lighting and the proper amount of surveillance cameras. On top of these security precautions, parking lot security cameras are arguably the most important aspect of parking lot security. Make sure that security cameras are installed at any entrances and exits so that you have a clear view of every vehicle that enters your parking lot. Strategically place security cameras so that every inch of your parking lot can be seen on camera. Now is not a time to be cheap — be sure to invest in enough security cameras that your parking lot is fully covered. After installing your parking lot security cameras, be sure to post multiple signs letting everyone know that they are there. Someone who is too quick to look for hidden cameras will often notice posted signs and will realize that their actions are being taped, causing criminals to rethink their actions. Posted signs also inform your customers and employees of the security cameras in your parking lot, so that they can feel safer and more secure. Along with using signs to inform your customers and employees of this change, be sure to inform your insurance company about your recent parking lot security camera installation as well. Some insurance companies actually offer reduced rates and discounts for companies that use parking lot security cameras, yet another reason why installing surveillance cameras is a good idea. Also, in the unfortunate event of a liability case against your business, proof of sufficient parking lot security can help you to establish non-negligence. What Kind Of Security Camera is Best For Parking Lots? Obviously, there are many security cameras available on the market, and not all of them are ideal for parking lots and parking garages. A security camera that is designed for outdoor use is a must for parking lots, as it must be sturdy enough to make it through rain, wind, snow and other inclement weather. As security cameras themselves are often targeted by thieves and vandals, you should also take precaution to protect your cameras. Installing them on light posts and other tall fixtures is an effective way to protect your security cameras from the wrong hands. Vandal proof security cameras are also available on the market. Vandal proof security cameras are designed so that they are difficult if not close to impossible to break or steal. Some security cameras have extra features and can zoom in or out, move from side to side and more. 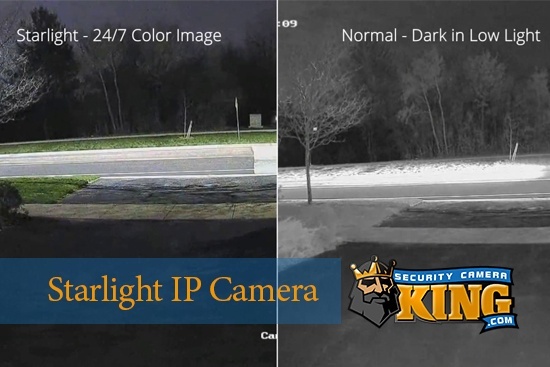 Some security cameras use infrared technology or are designed to be day/night cameras, providing a perfect picture even on the darkest of nights. There are even security cameras that are equipped with a motion sensor and can be programmed to zoom in and follow the movements of an individual or vehicle. If wires are a concern, there are many security cameras that are wireless. Some only use a small power supply line, but others are completely wireless due to the use of rechargeable batteries. No matter what your parking lot needs or what concerns you have, feel rest assured that there are security cameras on the market for you. In many cases, using a combination of different kinds of parking lot security cameras can prove to be effective. Several regular outdoor-use security cameras, combined with a few night-vision cameras and a few security cameras with motion detection technology can combine to be an effective combination when monitoring parking lots. How Should I Monitor My Parking Lot Security Cameras? 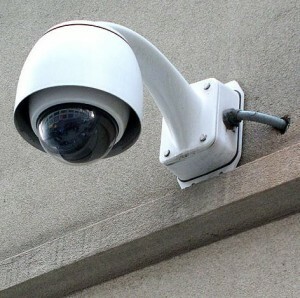 Your parking lot security cameras will be hooked up to a main security system. In some cases, this system may be your PC, but most security systems have their own stand-alone digital video recording unit. A digital video recorder records the footage from your parking lot security cameras as a digital file to be watched at your discretion. These digital video recorders, or DVRs, are useful and convenient because they allow you to pause, rewind and fast forward through the footage, just as you can with your home television DVR. Different DVR systems have different storage capacities and it is ideal to choose one that allows you to save footage for a significant amount of time. Footage that doesn’t seem important right now could turn out to be just the tape that you need in a few months. It is a good idea to put your monitor in an office or other area that is restricted from the public. Keeping it in an office where you or other employees get a lot of work done is sometimes a good idea, because then you can keep an eye on the running footage and possibly notice if something seems amiss in your parking lot. Periodically watch your security footage, even if nothing has been reported. This can sometimes help you to solve problems before they actually occur; if you notice an individual who is behaving suspiciously, you know to keep your eye out. 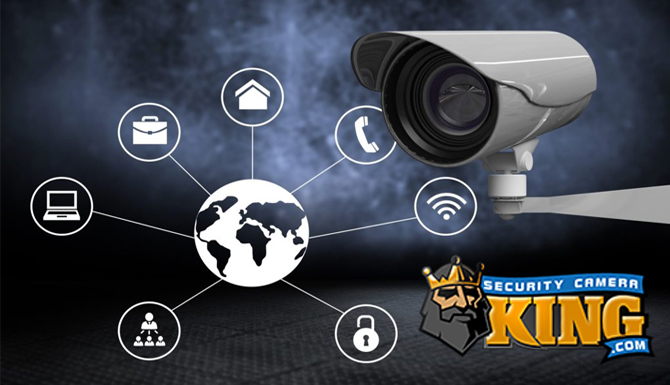 Never disconnect or turn off your security cameras; it’s inevitable that the one time that you do will be the time that something goes wrong. Keep your parking lot security cameras in good working condition and you will never regret your decision to have them installed.